Traditional vertical cuttings dryer is used for OBM and SBM, but GN fourth Generation high Vertical G force cuttings dryer can also be used for water based drilling waste.GNCD930D cuttings dryer G force is up to 750G. Most of our competitors vertical cuttings dryer only have 420 G force. 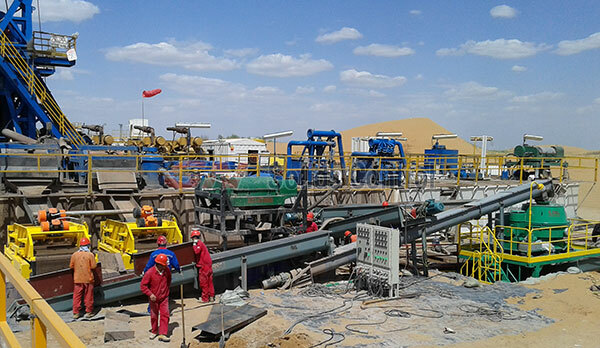 The operation video is in Wushenqi, Inner Mongolia for CNPC project. Screw conveyor take the drilling cuttings discharged from shale shaker and desander desilter. Another screw conveyor transfer the drilling waste to feed GN Vertical Cuttings Dryer. The GN Vertical Cuttings Dryer will separate water and oil from the drilling cuttings. The recovered mud from cuttings dryer will be treated by high speed decanter centrifuge. The fluids discharged from high speed centrifuge will return to the active mud system for reuse.